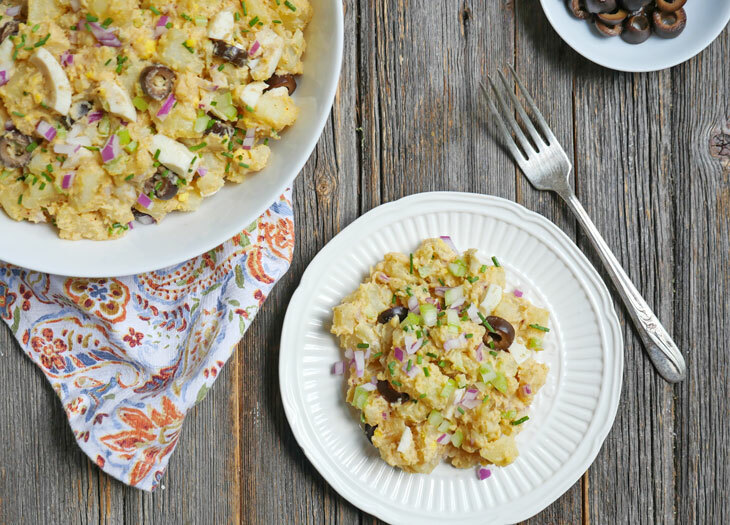 This potato salad made with eggs and olives is full of flavor, texture and color! 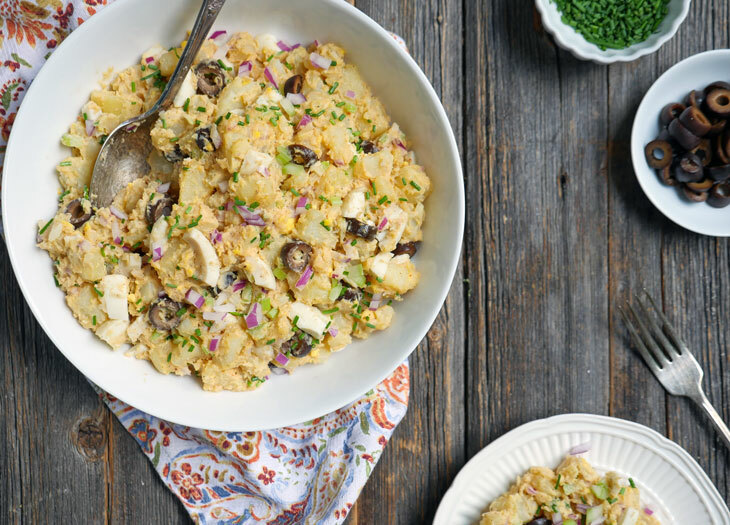 All of the ingredients add a little something special to this delicious mayo-based summer side dish. 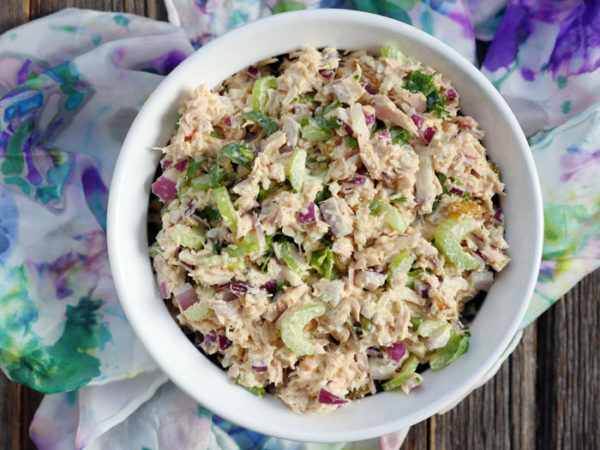 The olives add a briny flavor, the celery and red onion add color and crunch and the eggs add protein, making the salad a bit more filling. I can’t believe that we are halfway through August. Does time fly by even faster when you have a baby? Because it sure feels like it. Tony is TEN months old. 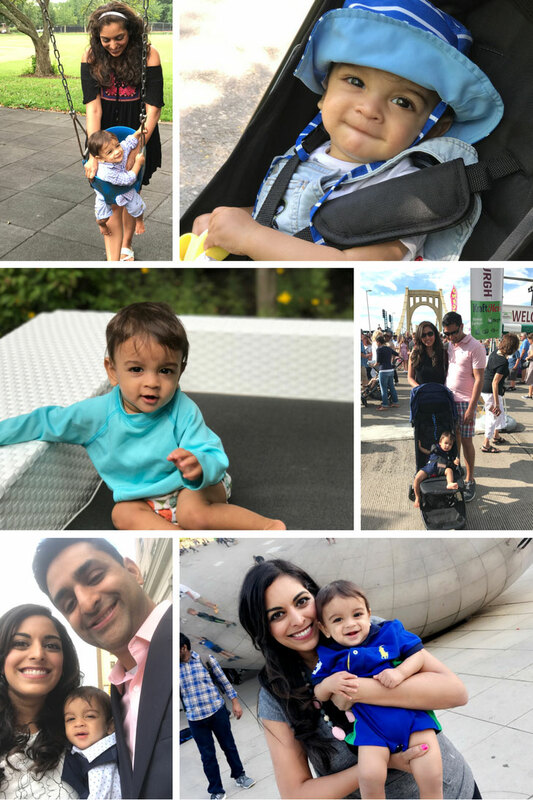 My first summer with my first baby is almost over and I’m not ready for that to happen. The day Tony turned 10 months old, I told my husband, Roby, that it was an extra special day because it was Tony’s first time ever being double digits. Then Roby reminded me that Tony was “double digits” when he was 10 weeks old. 10 days old. 10 minutes old. 10 seconds old. He was trying to be funny (in his typically endearing cheesy dad-joke kind of way), but it actually made me kind of sad that those moments were already over. Don’t get me wrong, I’m super happy and thankful that Tony is growing up as he should. I just want time to slow. the. heck. down. 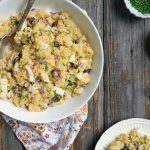 How did we get from potato salad to me having a semi-freakout on my blog about my son growing up too fast? I’ll show you how my brain works with this super simple flow chart: potato salad → summer → time is flying by → tony is getting older OMG how is this happening at lightning speed?! You can insert pretty much anything into the chart and you’ll end up with the same result. Okay. Let’s get back to this potato salad. Because that’s the normal thing to talk about when you’re sharing a potato salad recipe. This side dish is basically a traditional mayo-based potato salad but with a little twist to bring it up a notch. 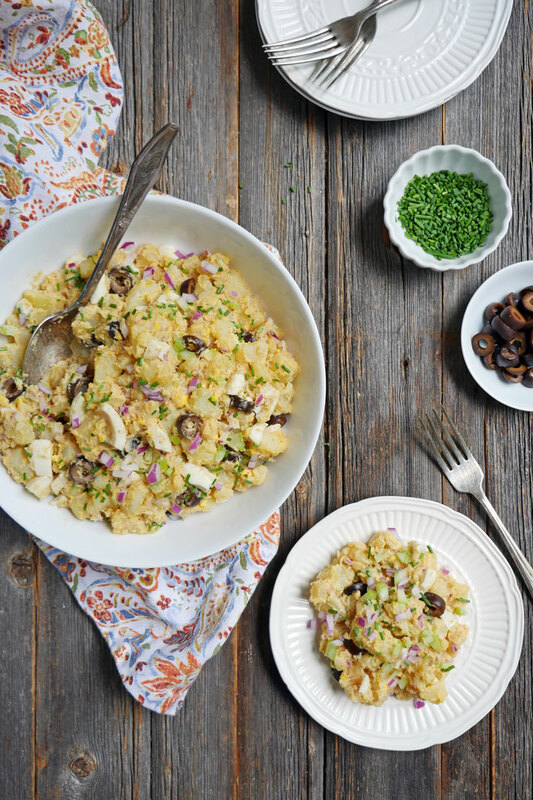 There’s an ingredient in here that you probably haven’t seen in other potato salad recipes: olives. Why did I put olives in the recipe? Well, the first time I made potato salad (earlier this summer) I opened the fridge and saw a jar of olives staring at me. I added a handful to the potato salad and was surprised at how much I liked them in there. I made this dish a few more times before sharing it on here because I wanted to be sure that this wasn’t one of those strange leftover pregnancy/postpartum craving-type of things. It’s not. This is very good y’all. I realize that olives are an unusual thing to add to potato salad but if you like olives, you’ll like them in there! Really. They make this salad special. This potato salad recipe also calls for eggs. I almost always put eggs in my potato salad because it adds protein to an otherwise super starchy side dish. 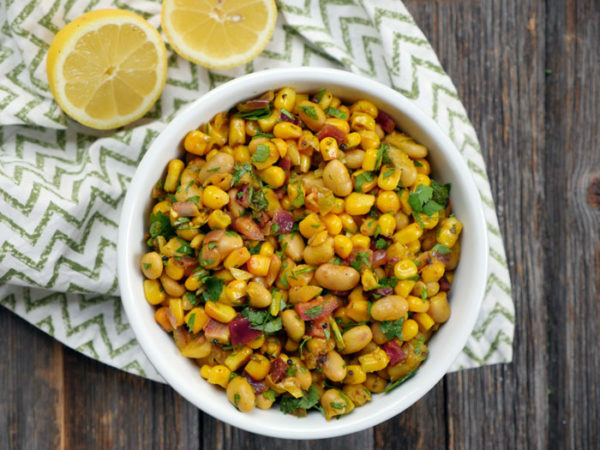 I also added red onion and celery to give this creamy side some crunch. And then there are spices – my recipes always have spices. 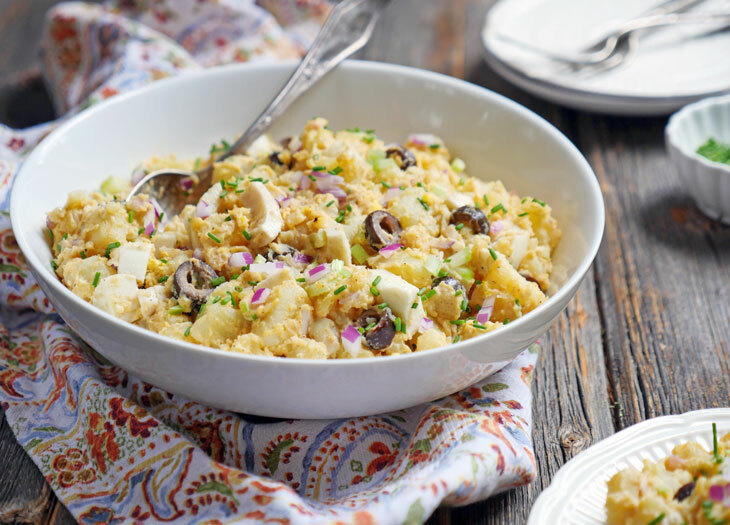 This isn’t a spicy potato salad – it’s just a flavorful one. Oh, and don’t forget to use high-quality mayo and dijon. Your potato salad is only going to be as good as your ingredients. I love the sir kensingtons brand but there are so many new (healthier gourmet) brands out there that I have yet to try and I’m sure they are just as good. I know there isn’t much summer left, but I hope that you have several more sunny days filled with barbecues, potlucks and picnics ahead of you over these next few weeks. If using an Instant Pot, place 2 cups of water into the pot, then place a steamer rack inside the pot. Place the potatoes and eggs on top of the steaming rack and cook on low pressure for 12 minutes. Once the cooking time is done, open the valve to release any remaining pressure. Place the eggs into an ice water bath. If using a stove top, boil the eggs and potatoes separately: Place the eggs in a pot, add enough water to cover them and bring the pot to a boil. Remove the pot from the stove, cover and let the eggs sit in the water for 12 minutes. Place the eggs in ice water, peel, chop them and place them into a bowl. Place the potatoes in a pot, add water to cover them and bring the pot to a boil. Reduce the heat to medium, cover the pan and cook until tender, about 20-25 minutes. Chop the potatoes and the eggs and add them to a bowl with the remaining ingredients and mix well. 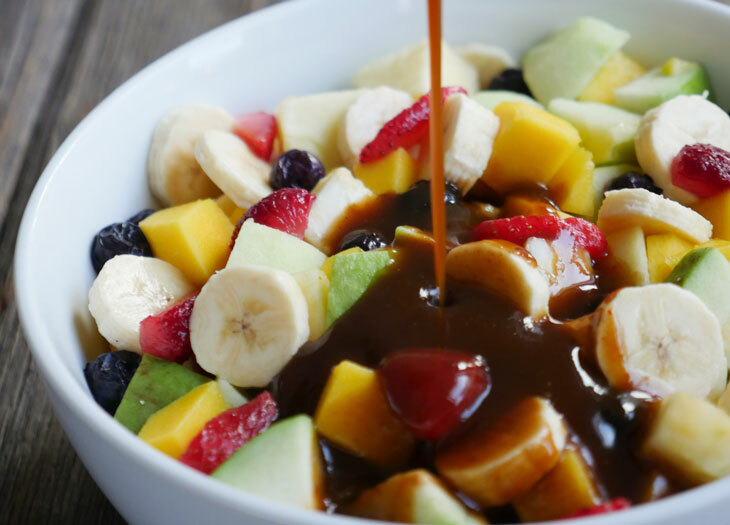 Place the bowl in the fridge to chill for at least 2 hours or overnight. I love your recipes! I want to try this one but where is the recipe on this one or am I just blind! Cara – I’m so sorry, my recipes are only showing up on desktop/laptop and not on mobile devices at the moment – I’m in the middle of a website update so this should be resolved asap! The tuna salad was delicious. I am having a great time working my way through your recipes. I just bought an instant pot, so I am excited to try out those recipes, too.